Put the rest back in restroom with budget-friendly DIY projects that'll transform your bathroom from a humdrum space to a spa-like sanctuary. From a bath caddy that'll hold your wine glass to all-natural scented wax bars to a pretty floral arrangement, all that's missing from your newfound retreat is a glass of fruit-infused water and a homemade face mask. Go ahead, treat yourself. You deserve it after revamping your bathroom and saving a ton of money in the process. It doesn't get much better than sinking into a warm bath after a long day -- that is, until you upgrade your relaxation ritual with a bath caddy. 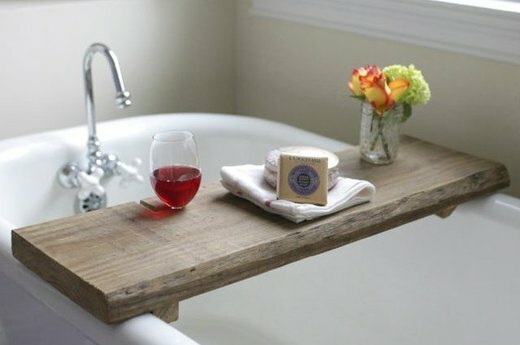 This version is complete with a built-in wine glass holder so you can enjoy a boozy bath without getting suds in your Syrah. It's also a great place to display a lovely floral arrangement to help you decompress. 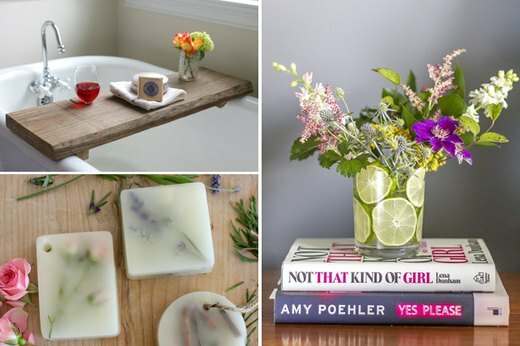 Add aromatic ambiance with easy-to-make scented wax bars. 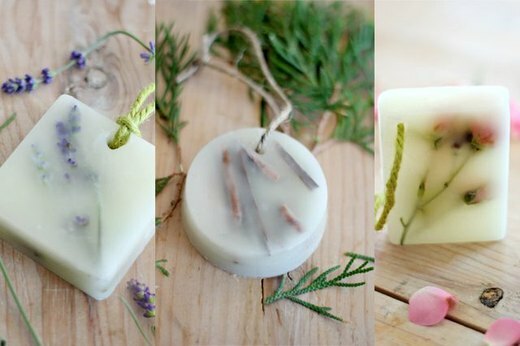 These all-natural beauties are so pretty that they double as display-worthy works of art. You can easily customize them with the scents of your choice, but we recommend lavender and sandalwood to reduce stress, relieve anxiety and lift your mood. Ambiance isn't complete without the right lighting. Though we're partial to Diptyque candles, let's be real, that $60 price tag is guaranteed to kill your zen vibes. 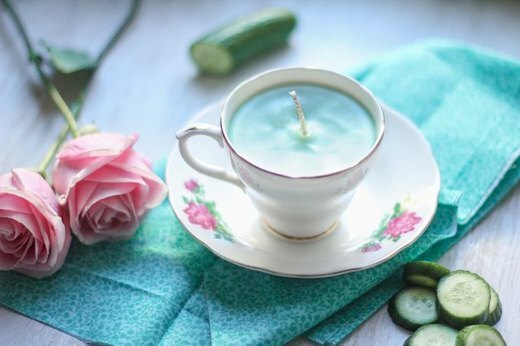 Instead of splurging on a high-end accessory, make your own teacup candle to add that perfect glowy light and a bit of whimsy to your bathroom. 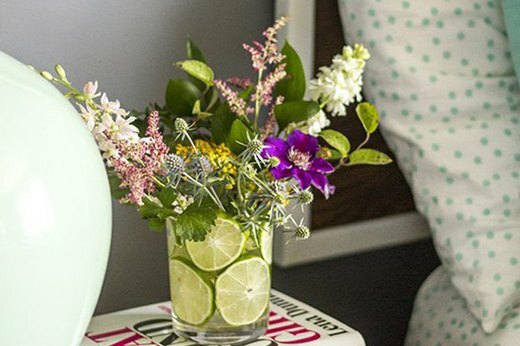 Liven up your space with a colorful floral arrangement. 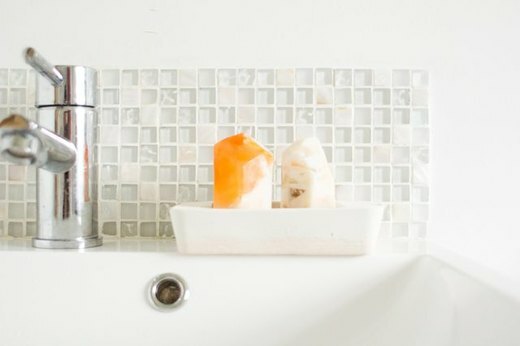 This flawless display complete with lime slices is an inexpensive way to refresh even the most drab of bathrooms and it's easy to recreate with our simple tutorial. Once the arrangement loses its luster, give it new life in the form of pretty potpourri (don't forget to include the limes!). Waste not, want not. For a less temporary addition of greenery, add a vertical garden to your bathroom. 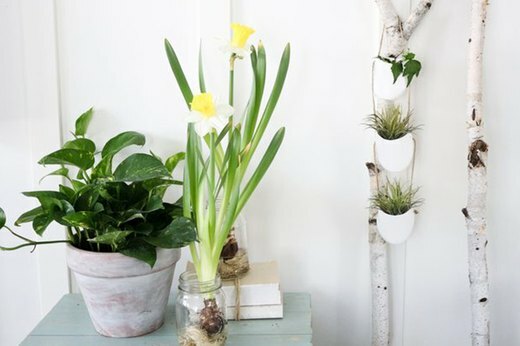 A hanging wall planter is ideal for small space bathrooms and this contemporary version made from upcycled plastic bottles (yes, really) is a cheaper alternative to anything you'd find on Etsy. Just don't forget to choose plants that can stand up to the humid conditions of a bathroom. What's more relaxing than a day at the beach? 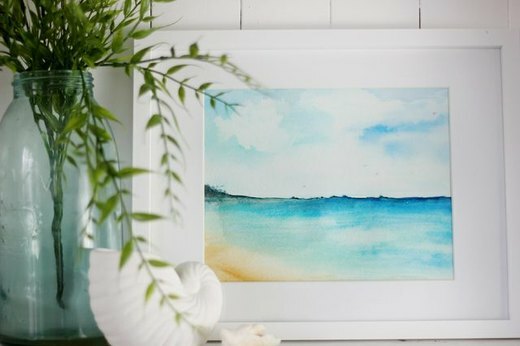 Bring the calming vibes of the sea into your powder room with a watercolor beach scene that you can easily paint yourself with our tutorial. If ethereal feathers, delicate flowers or simple leaves better suit your taste, don't worry -- we've got you covered with those DIYs, too. Keep things simple with a two-tone concrete soap dish. This inexpensive DIY is a low-commitment way to incorporate the trendy Scandinavian minimalist modern look into your bathroom. Plus, now you have an excuse to upgrade to pretty bar soaps. 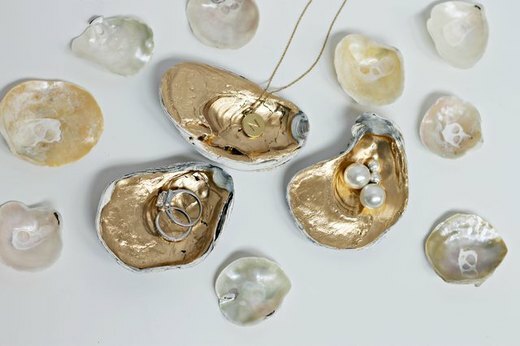 Make oyster shell catch-alls to hold your jewelry while you take a quick shower or enjoy a luxurious bath. Gild the shells with gold paint and you'll feel like Marie Antoinette every time you wash your hands. 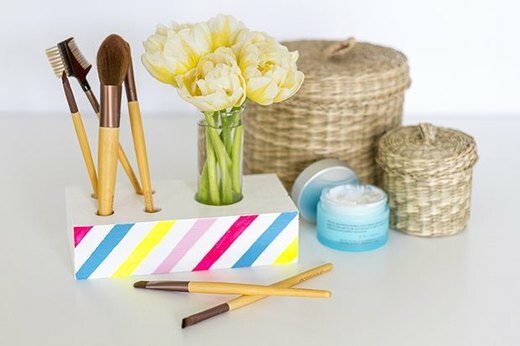 Instead of storing your makeup brushes in your vanity drawer or makeup bag, display them with a customizable makeup brush holder. This countertop organization system not only looks great, but also conveniently keeps your most used tools within arm's reach. 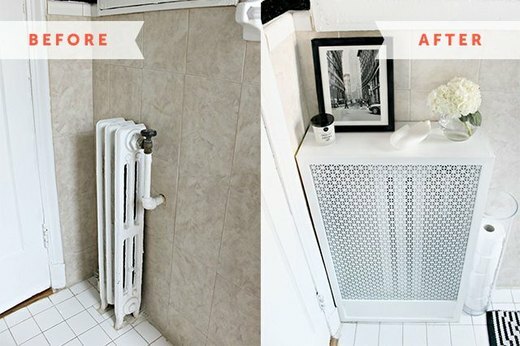 Turn an unsightly radiator into a small space storage solution with a radiator cover. This project is especially ideal for people who have notoriously tiny rental bathrooms who could use a little more counter space. Instead of an eyesore, you'll have a great place to put a floral arrangement and a few other decorative items to add some personality to your bathroom.